The pacts were signed last night with Patanjali Ayurved Limited, Manorama Industries Private Ltd and Aakriti Snacks Private Limited during a meeting held here at the official residence of Chief Minister Raman Singh, an official said today. 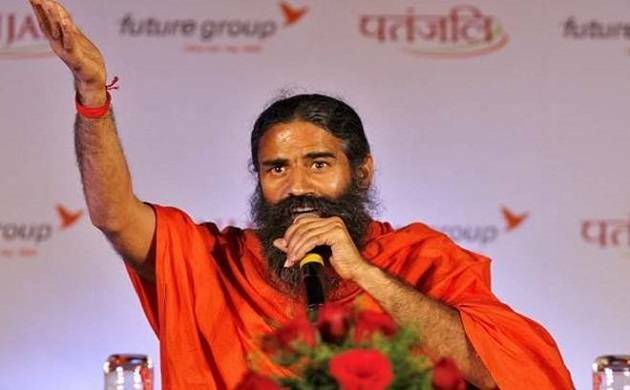 The Chhattisgarh government has signed memorandum of understanding (MoU) with three food processing firms, including Baba Ramdev’s Patanjali Ayurved, to set up processing units at an estimated investment of Rs 762.80 crore. As a part of the three pacts, food industries will be set up with an investment of Rs 762.80 crore, and is likely to provide employment, directly or indirectly, to over 24000 people, the CM said. An official said that the MoU signed with Patanjali Ayurved was worth Rs 671 crore under which an agriculture and herbal processing unit would be set up in Bijetala village of Rajnandgaon district. The unit will be spread over an area of 500 acres which will benefit around 2 lakh farmers, the official added. Manorama Industries, the official said, would as part of the agreement, set up a unit of butter products based on sal seeds and mangoes in Rasni-Urla area at a cost of Rs 76 crore. Similarly, Akriti Snacks will expand its Kolar (Raipur district) based unit and set up toast, bread and bakery production units by investing Rs 15.80 crore, he said. Speaking on the occasion, the chief minister said that food processing industries will play a vital role in doubling the income of farmers as per the vision of Prime Minister Narendra Modi as it will ensure a better market for raw materials. “The Chhattisgarh government has given top priority to the food processing sector in its industrial policy and every facility required will be provided to those willing to invest in this sector,” Singh said. Head of Patanjali Ayurved Acharaya Balkrishna, Ashish Saraf of Manorama Industries and Ashish Agrawal of Akriti Snacks signed the agreement for their respective firms while Special Secretary, state industry department Kamalpreet Singh signed on behalf of the state government. Chairman of Chhattisgarh State Industrial Corporation Limited Chhagan Lal Mundra and Chief Secretary Vivek Dhand were present at the meeting.